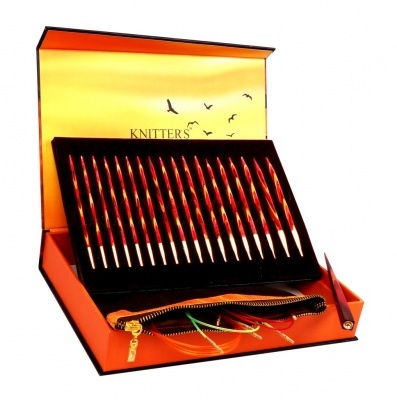 Another of the very special one of a kind dye lots from Koigu! 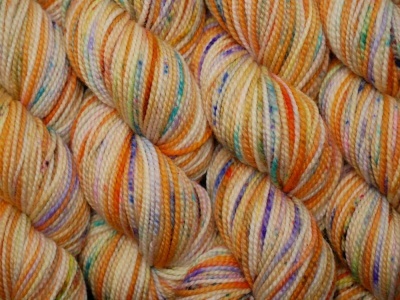 This is Koigu's KPPPM (175 yards (160m)/ 50g of 100% merino), each skein having been hand-painted. Indeed you would be correct to consider each dye lot as an original "painting". 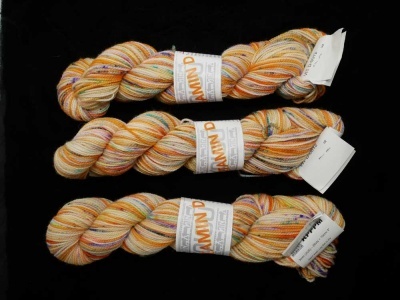 This is one of their unique Koigu Collector's Club, a monthly limted edition, one-of-a-kind themed colorway of KPPM hand dyed by Taiu Landra, co-ownder of Koigu Wool Designs. There are less than 30 shops worldwide to carry these colorways; we are delighted to be one of them! 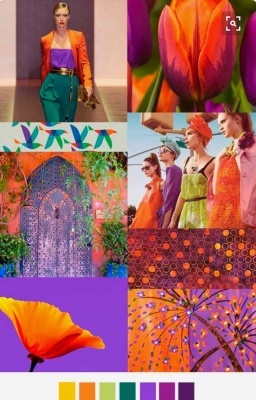 Vitamin D, bright colours speckled, especially made to overcome the seasonal BLUES. These are almost luminescent with cream and carrot, apricot and marmalade, cantaloupe and subtle spots of blues, turquoise, greens and violet.